The U.S. House of Representatives passed a bill last week called “Kate’s Law” (HR3004). The bill is named for Kate Steinle, the young woman whose unfortunate death in San Francisco in 2015 has been exploited as a recurrent shibboleth in efforts across the nation to instigate anti-immigrant fervor. Were it in effect in 2015 however, nothing in this proposed law — which increases maximum sentences for immigrants who re-enter the country illegally after a deportation — would have prevented Steinle’s death. Her death was the result of systemic defects and individual errors that the bill does not address. What the law will do is fill our already overcrowded prisons with nonviolent immigrants. • Increase the maximum sentence for previously deported people who re-enter the U.S. from two years to 10, and increase the maximum sentences for people who re-enter after being convicted of certain criminal offenses — including for immigration offenses — to up to 25 years. These law changes have nothing to do with the circumstances preceding Steinle’s death. Had the bill been law in 2015, it would have had no effect on Juan Francisco Lopez Sanchez, the man accused of causing her death. That’s because Lopez Sanchez already faced a 20-year prison sentence each time he entered the country, based on a minor narcotics conviction from 1993 in the state of Washington — an offense that aggravates any illegal entry he committed (8 U.S. Code §1326). The facts of this case are largely unknown to the public. Lopez Sanchez didn’t travel to San Francisco voluntarily. He was transferred here by federal authorities, because San Francisco maintained a 20-year-old warrant in a marijuana offense. Lopez Sanchez then appeared in San Francisco Superior Court, where his case was promptly and predictably dismissed and he was released. Alone, unemployed, in a city he did not want to be in, Lopez Sanchez wandered the streets. In statements to ABC-7 news while incarcerated, Lopez Sanchez described picking up an object wrapped in a T-shirt that discharged while he handled it. What is uncontested: He did not know the victim, she was 100 feet away from him when shot, and the single bullet ricocheted off the concrete pier near where Lopez Sanchez was seated. The Sig Sauer .40 caliber automatic pistol, known for having a hair trigger, is documented in hundreds of accidental discharges, even when handled by trained law enforcement. The firearm should never have been on the streets. The Bureau of Land Management official who left his loaded weapon unsecured in a car that was burglarized has never accounted for his negligence in starting the chain of events that resulted in Steinle’s death. The frenzy surrounding the House’s passage of this law — and the repeated false assertions that being tougher on immigrants would have averted this tragedy — now threatens Lopez Sanchez’s chances of a fair trial. Yet, none of the tragic events that led to Steinle’s death would have been affected by Kate’s Law. 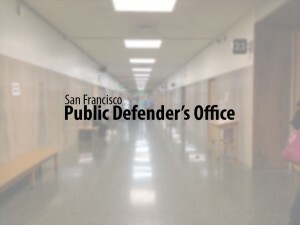 It wouldn’t have prevented Lopez Sanchez’s transfer to San Francisco or subsequent release, nor prevented the negligence and theft that placed a firearm in his path. For those who want to whip up fear of immigrants, it is politically expedient to cast Lopez Sanchez as dangerous. But the truth is he’s never previously been charged with a crime of violence. He is a simple man with a second-grade education who has survived many hardships. He came to the U.S. repeatedly because extreme poverty is the norm in many parts of Mexico. He risked going to jail so that he could perform a menial job that could feed him. Each time, he came to the U.S. because American employers openly encourage illegal immigration to fill the jobs U.S. citizens don’t want. Passing Kate’s Law as a response to this tragedy is the legal equivalent of invading Iraq in response to 911 — a preying upon emotions to further a pre-existing agenda. It is a cynical anti-immigrant effort unrelated to Steinle’s death that in no way honors her memory. Matt Gonzalez is one of the attorneys representing Juan Francisco Lopez Sanchez, whose trial is scheduled to begin later this month. He is the chief attorney in the San Francisco Public Defender’s Office. Op-Ed: Why No Charges in Police-Involved Beating in SF?